Our little one will be here soon (4/5ish weeks! ), so I'm often poking around and eying lots of yummy baby goodies :) As of now, we have pretty much everything we need--but I still enjoy picking out some little extras for baby boy. 1. Burp Clothes from Hope: Handmade. I adore the polka dots and colors! 4. Boppy pillow cover from For the Love of Joy. The pattern and colors are adorable! 6. Aviator Hat from Bebe K Studio. Since Josh loves airplanes (and did fly planes for a while), I thought this little hat would be quite fitting. 8. Swaddle blanket by Little Hip Squeaks. Happy, cozy, and hip! Love it. 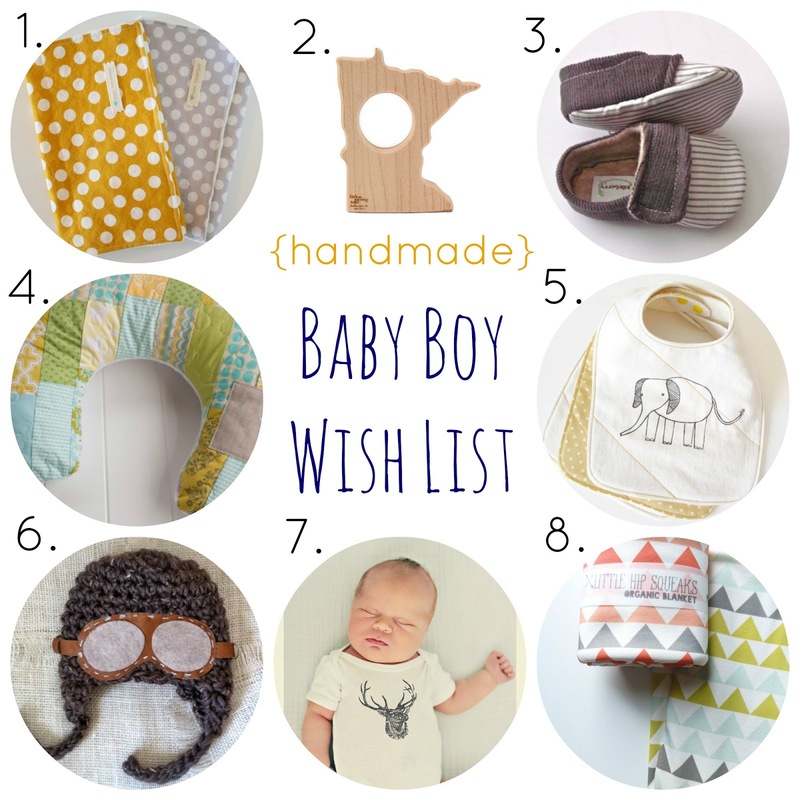 What are your favorite handmade baby goodies? I'd love to have some more shops/items to add to the list!